Baby Shark! Doo doo doo doo doo doo! Baby Shark! Doo doo doo doo doo doo! Baby Shark! Doo doo doo doo doo doo! Baby Shark! 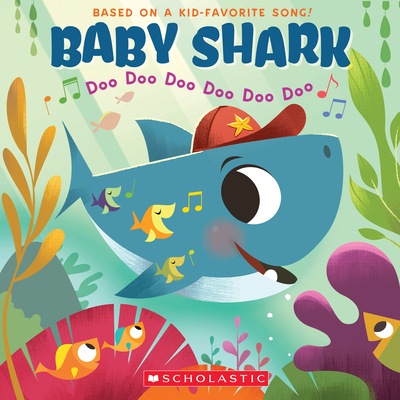 Baby Shark has become well-known and well-loved by teachers, parents, and children everywhere. And with hilarious and adorable under-the-sea art of Baby Shark, Mama Shark, Daddy Shark, Grandma Shark, and more ocean creatures, kids won't be able to get enough of this silly illlustrated story of a shark family!